Shawn Kenney, photographed by Scott Lapham. 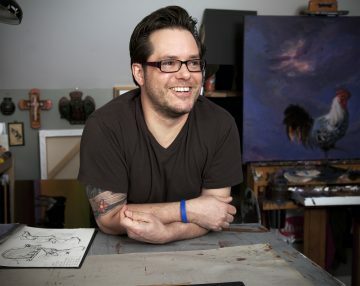 Shawn Kenney, born in Connecticut, grew up in Washington state and the Mid-Atlantic states before returning to New England to attend the Rhode Island School of Design. He has remained in the area, earning a living as an art director, designer and illustrator. 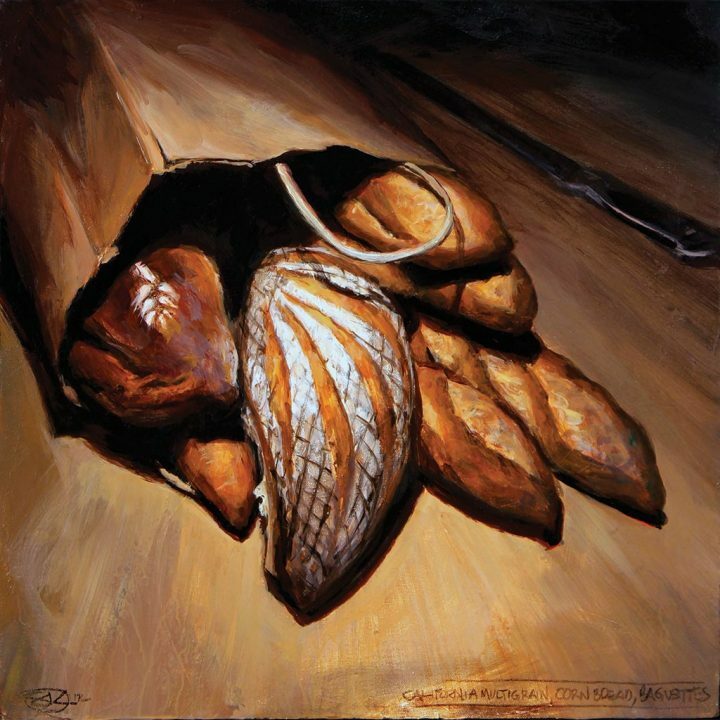 Today he paints food and farms, producing luscious looking still lifes that convey his love for fine food and connections with the local culinary community, as well as scenes of farm life that invoke a comforting nostalgia. Kenney exhibits regionally and co-founded “Will Paint for Food,” an organization that supports hunger relief through sales of his paintings.